During a recent conversation, someone expressed dismay to me about an organization in Oklahoma City. This organization works directly with startups, yet doesn't appear (at least to the outside viewer) to be particularly keen on working with other similar groups. Anyone who has been paying attention to some of the dialogue in the tech entrepreneurship world knows that a networked community is pretty critical for any locale to foster a robust startup ecosystem. The more I tried to put myself in this (young) organization's shoes, however, the more I found understanding and appreciation for what they were trying to accomplish. Those of us who work within "the community" ask everyone to contribute into the group in various ways for the good of the ecosystem. That's all well and good, but who said that everyone's contributions have to be of the same nature or the same level or degree? Just because one party's business model allows it to partner with everyone under the sun with little regard for competition or strategy, other parties may not have the same capabilities or goals. As I looked at this group again, I saw that they were doing things in an open manner, and inviting anyone and everyone to join them. Now, they were only extending invitations to some of their activities (every day's not a party), and they were reaching out on their own terms (I don't see them taking a lot of market feedback at this point). Still, they ARE making an effort. 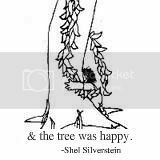 I'm reminded of the Shel Silverstein book, The Giving Tree. Not everyone - individual or entity - can give without regard. It takes a forest of trees, a community of people and businesses, agencies and advocates, looking for needs and filling them as they can. That's what makes for a healthy startup environment. So, when you ask why someone isn't contributing to a community effort, ask instead how you can help all the potential players in the community contribute in their own way. Then ask yourself what opportunities exist that you personally could grab and create an impact, either alone or with partners. Then do it. Help out, and help each other. Be a forest of Giving Trees. And be happy. Jeff Greene is a man with a message and a mission. He truly believes that his company, MedEncentive, can revolutionize health care. Many other people are inclined to agree with him in theory, but few were willing to put their money up to validate his thesis. Seven years after starting MedEncentive, Jeff's company has been adopted by their first major medical carrier. There are so many lessons in this story - being ahead of the market; the battles of hearts vs. minds vs. wallets; and so on. The story that inspires this post, however, is Jeff's unwavering commitment to his company and his idea that doctors and patients, when provided a system based on evidence and outcomes, could produce superior health outcomes while being paid to do so. I encourage you all to dig into Jeff's story. Not every startup will succeed, and MedEncentive still has plenty of ground to cover. Still, the story is so instructive about committing to a vision for the long haul. Congrats, Jeff. Best wishes for continued stamina and success, in that order. For anyone who missed hearing Brad Feld during his OKC visit, here's the nutshell of his new book, Startup Communities.